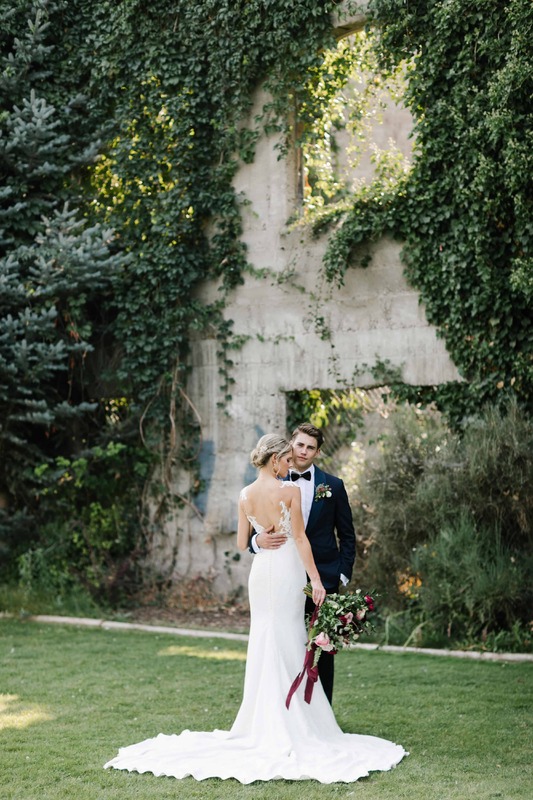 Despite the dimly lit hospital basement where they first locked eyes, the future was bright for Jace and Brieanne, who felt sparks from the moment they met. 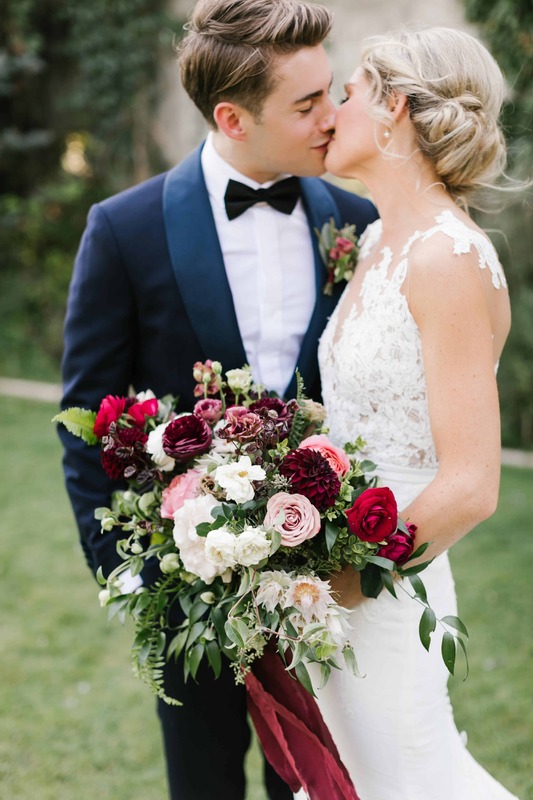 “The fluorescent lighting, soiled gurneys and avocado flooring created the romantic setting necessary for our love story to develop,” Jace writes tongue-in-cheek on the couple’s wedding website. 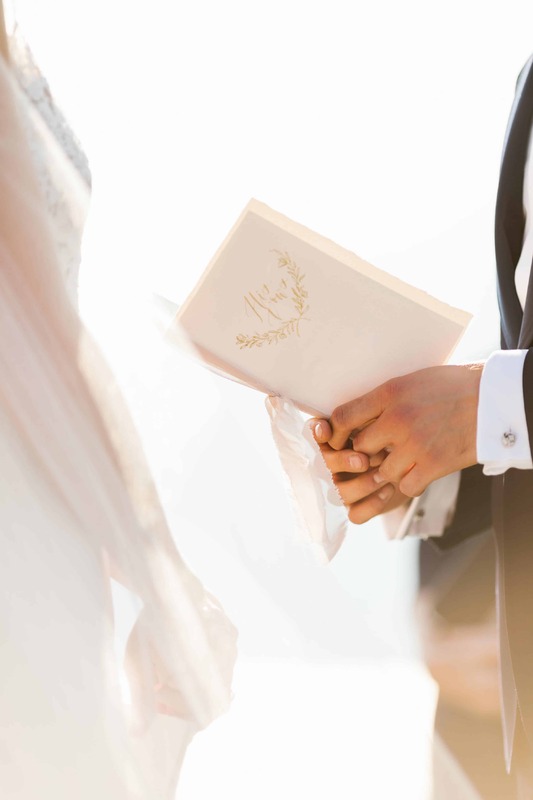 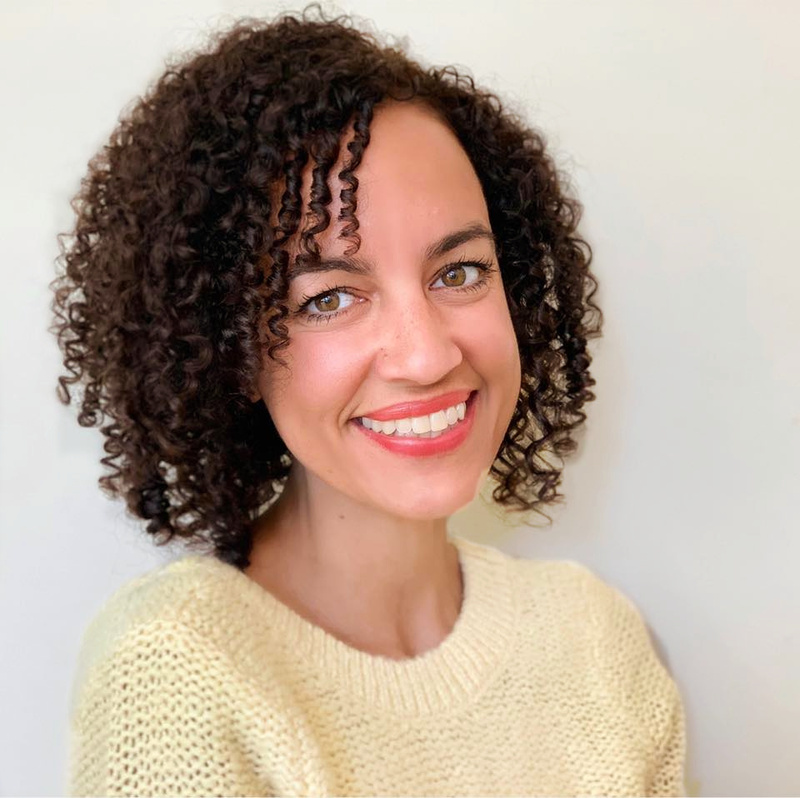 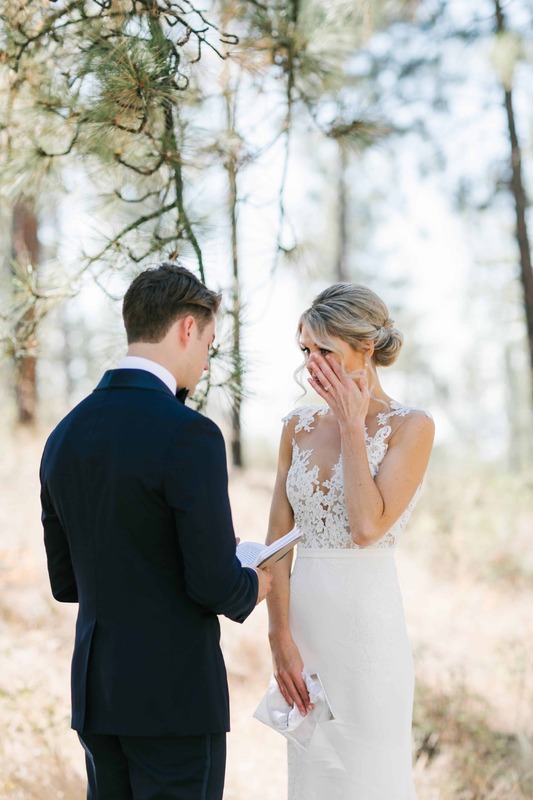 An engagement within six months of their first encounter didn’t seem rushed for the pair, who knew immediately that they were destined to be together. 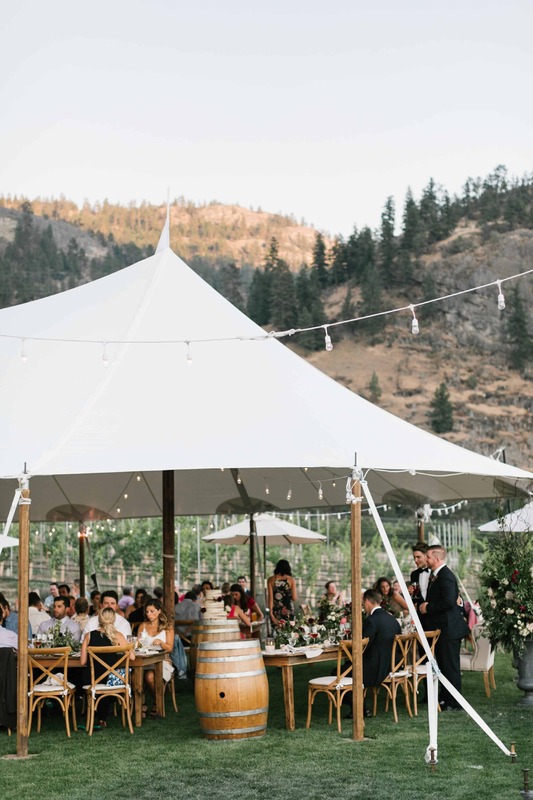 Painted Rock Winery in Penticton was an obvious venue choice for the couple. 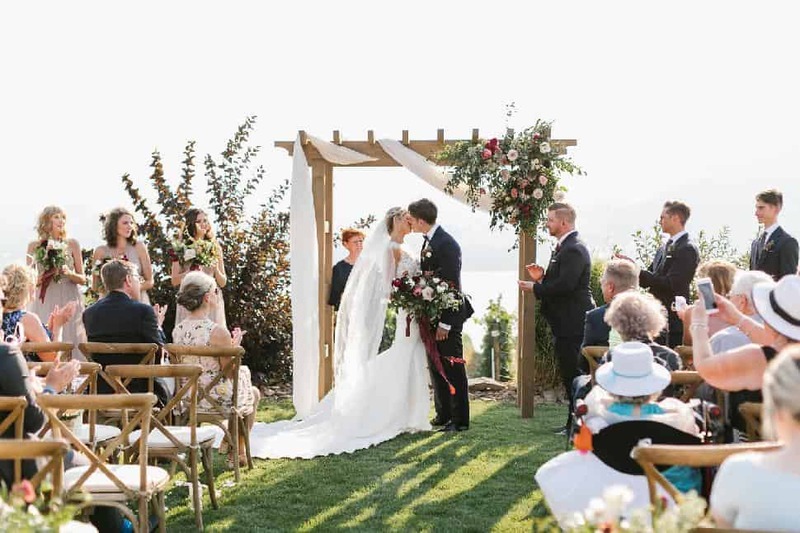 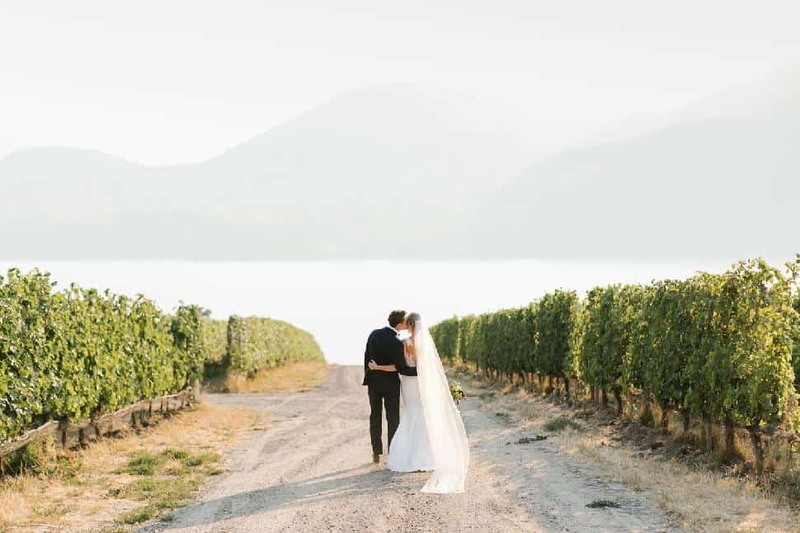 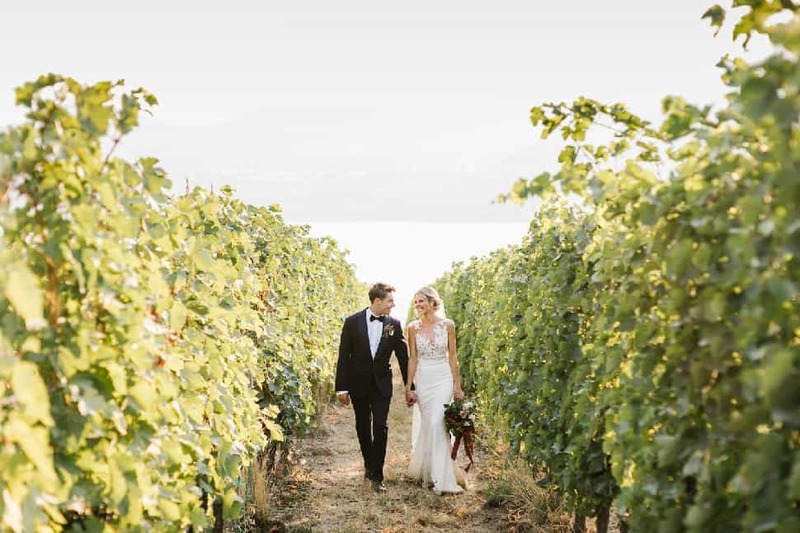 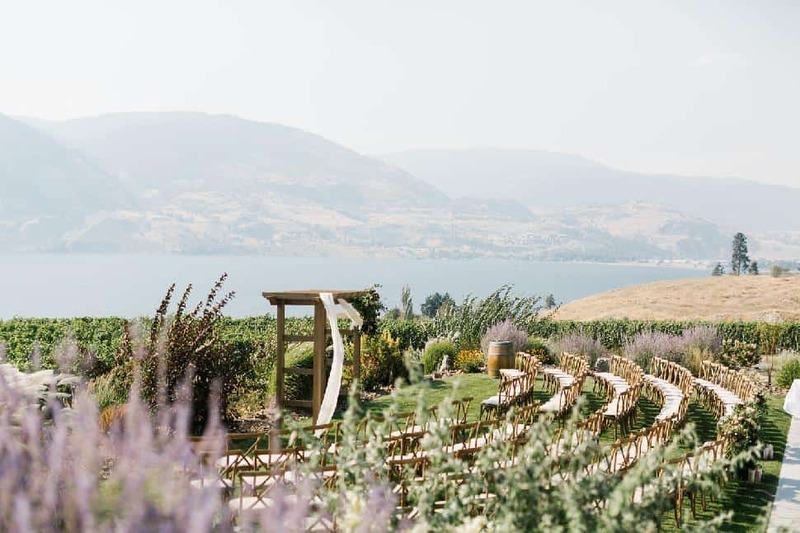 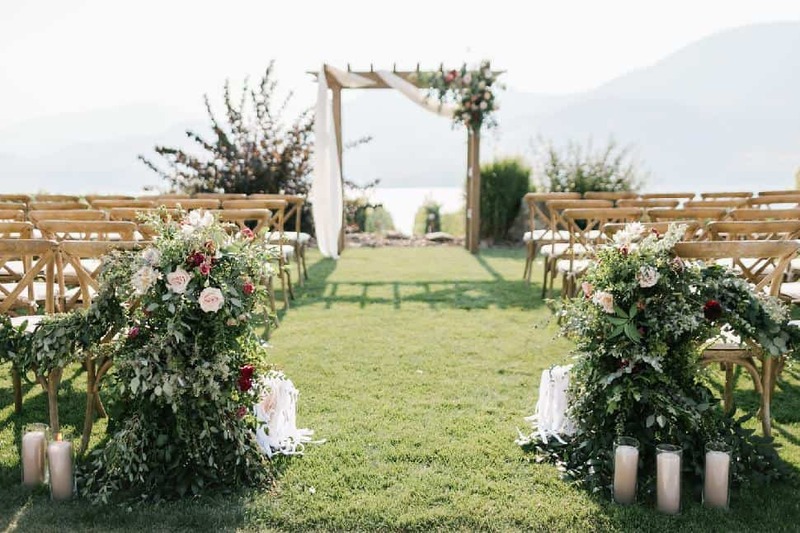 Both have parents who are rooted in the area, and the stunning views provided the perfect backdrop for their vineyard vows. 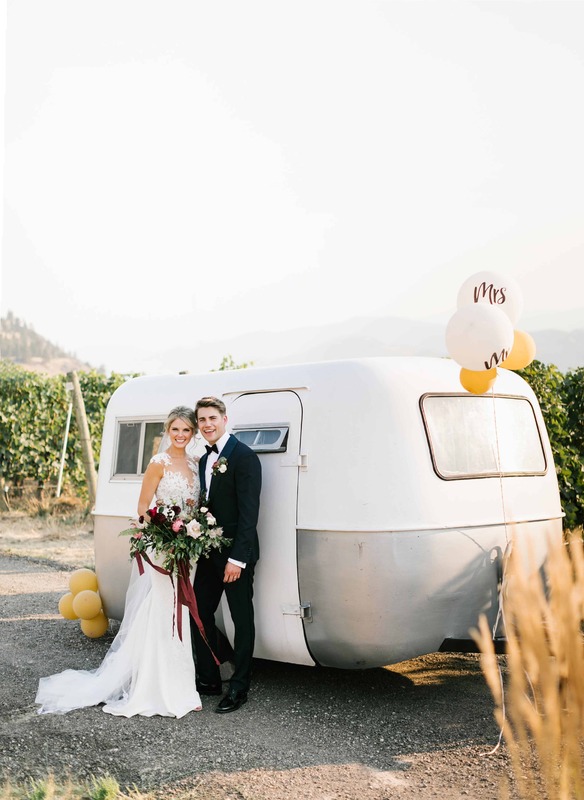 With Nicole Sihlis of Created Lovely Events by their side, Jace and Brieanne set the scene for a dreamy winery romance, surrounded by Bordeaux- and champagne-coloured details, and personal touches such as a balloon-adorned Boler trailer decorated to match the Up movie theme, reflecting the bride’s love for Disney movies and the pair’s lust for adventure. 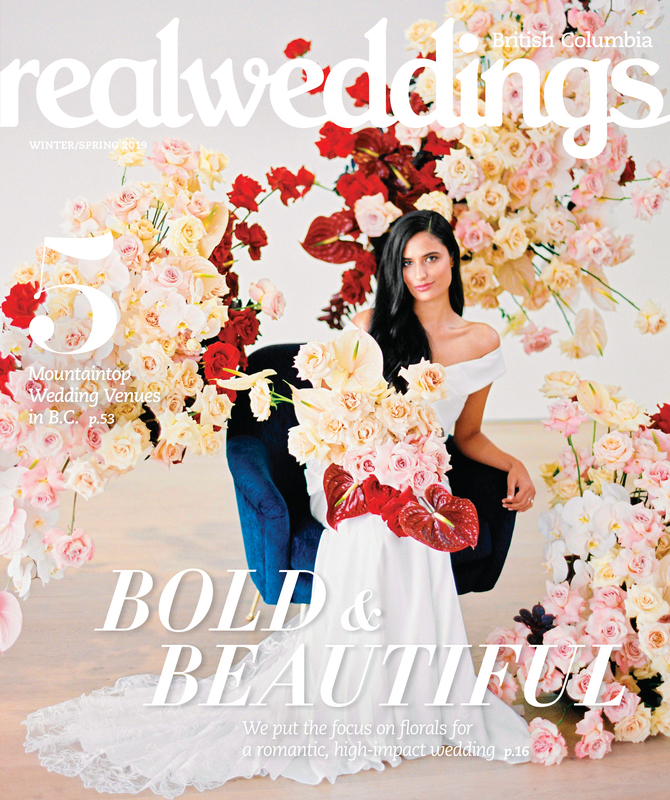 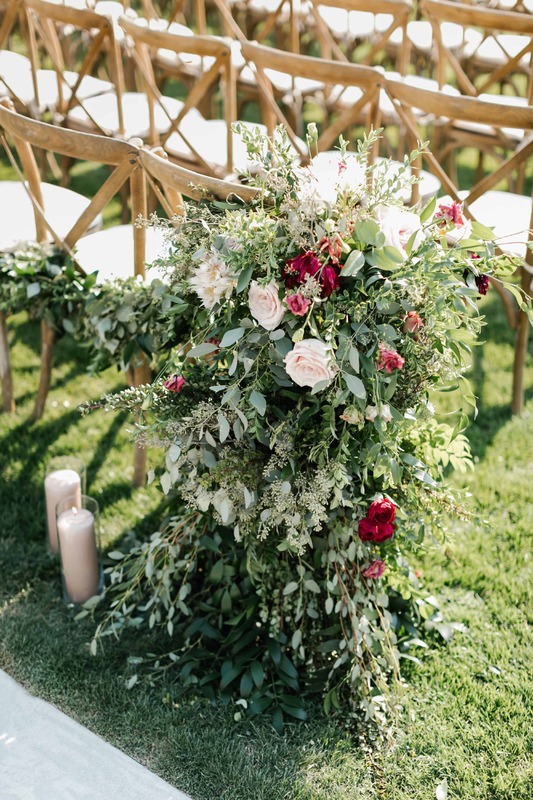 Overflowing floral arrangements in deep reds and creamy neutrals by A New Leaf Floral, elegant decor by White Event Studio and rentals by Perspective Events created the perfect ambiance for the special day. 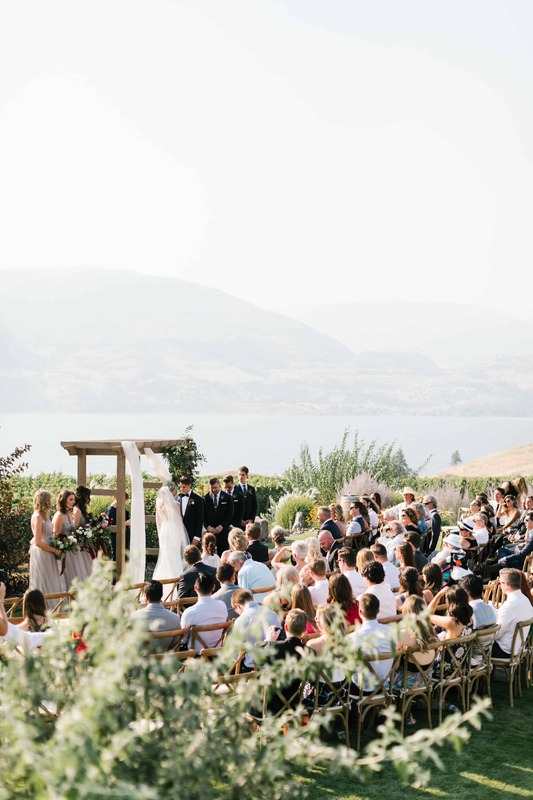 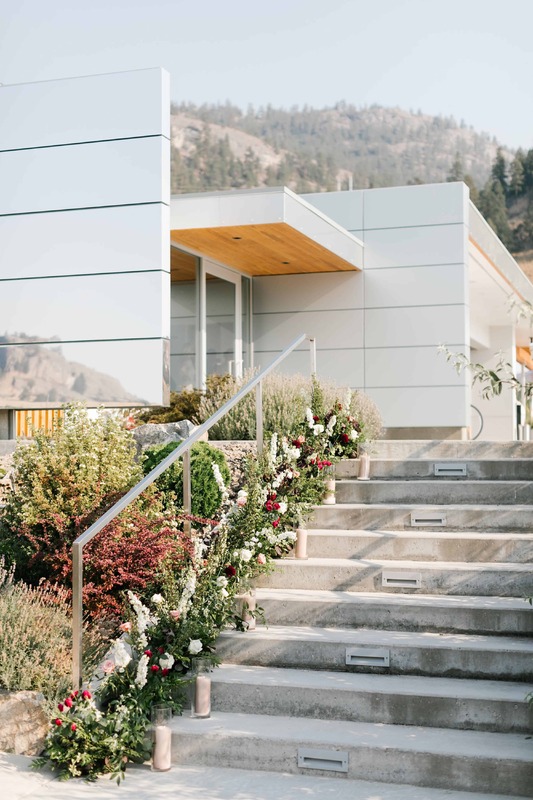 The intimate outdoor venue featured breathtaking views of the bluffs and Lake Skaha, while candles and pops of gold accented the romantic aesthetic. 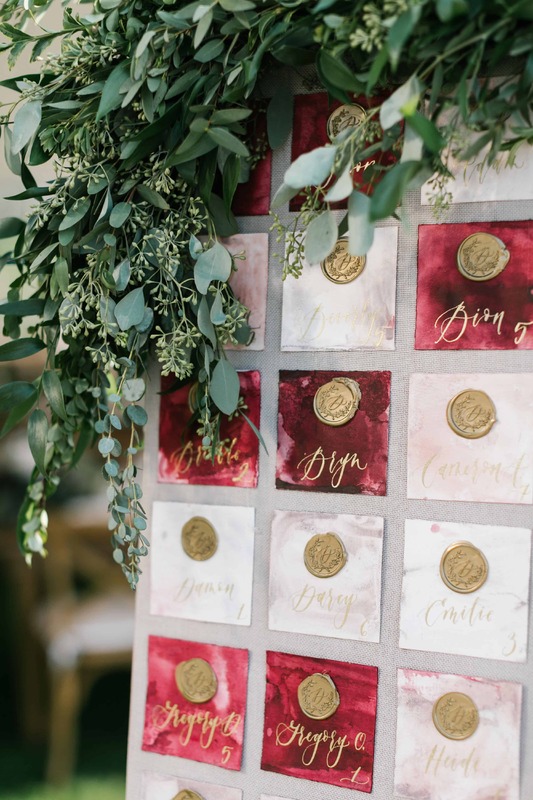 The watercolour seating chart was crafted by Jill Mayer of Art & Alexander, who also created custom postcards for the guests to sign, reminiscent of the postcards the pair sent to each other when apart. 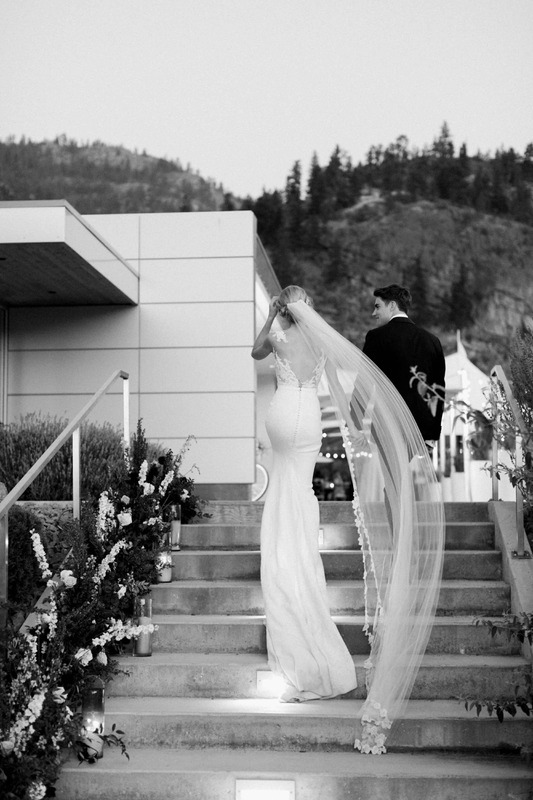 The bride said yes to an Atelier Pronovias dress at The Bridal Boutique Calgary, a classy gown with delicate lace. 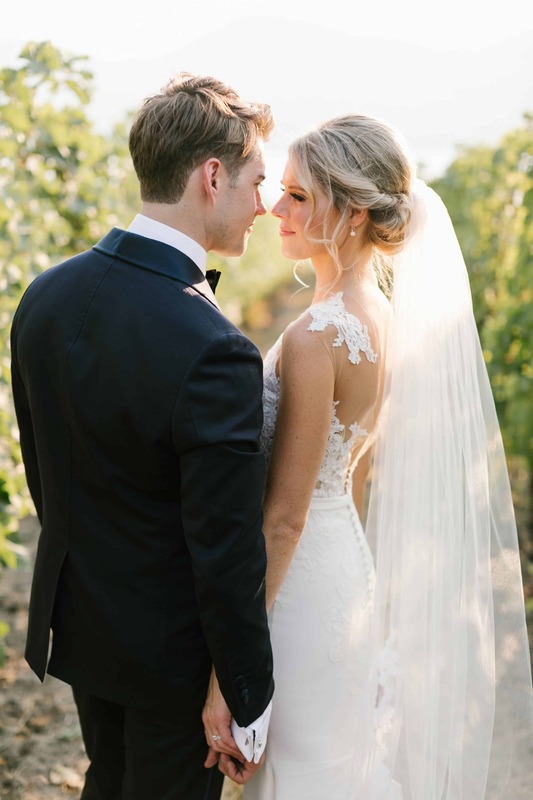 A hairpiece by Twigs & Honey, makeup by Jenny Mckinney and hair by Darcie Jillian completed her look. 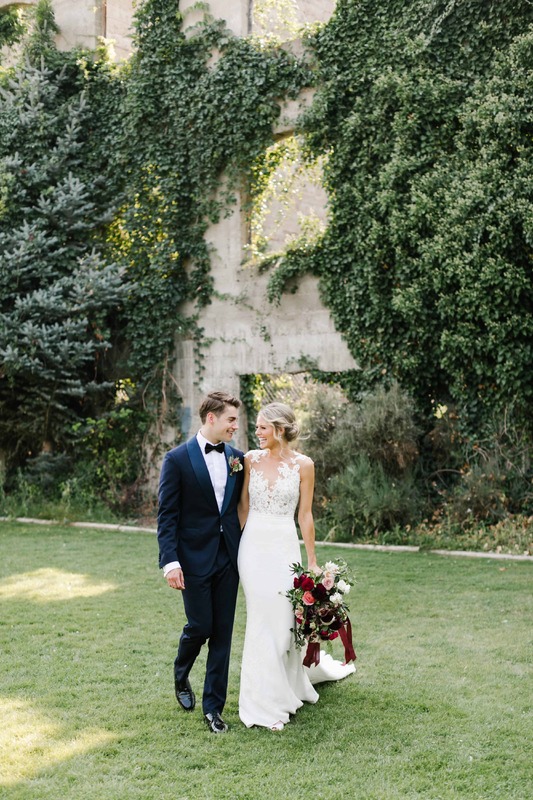 The groom wore a custom-made suit by Suits by Curtis Eliot. 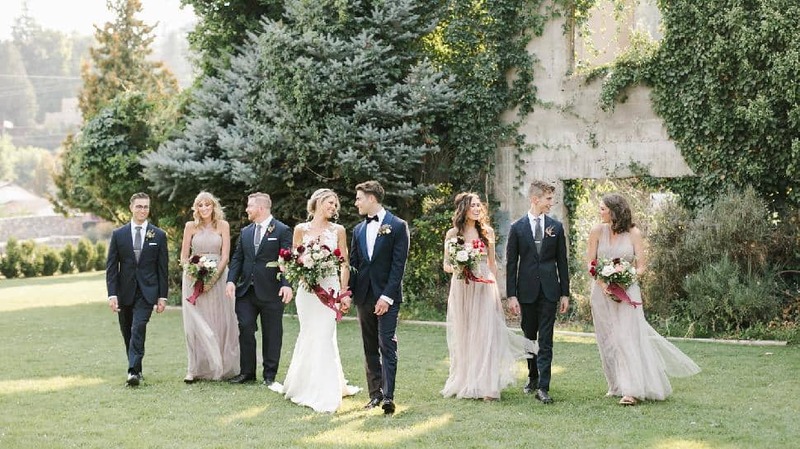 The bridal party wore floor-length mink grey gowns by Jenny Yoo from Delica Bridal, comfortable yet glamorous for the trifecta of new moms who wanted to look stylish without feeling stuffy. 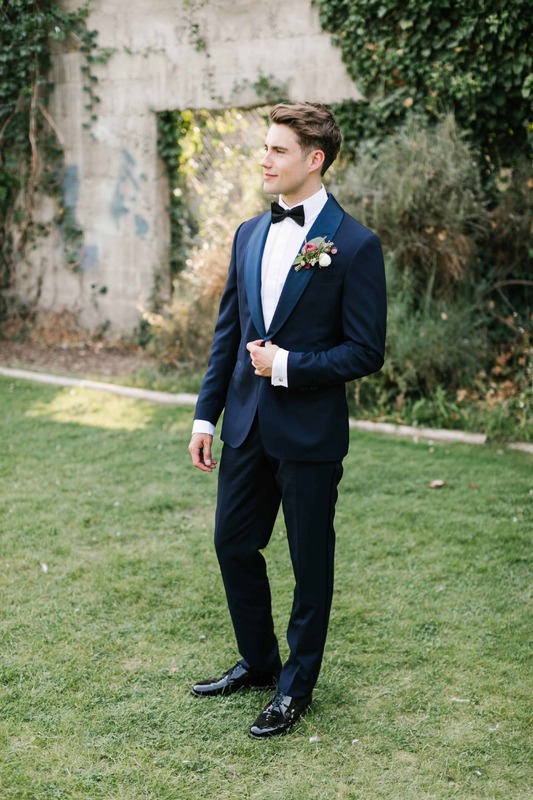 The groomsmen wore sleek J. 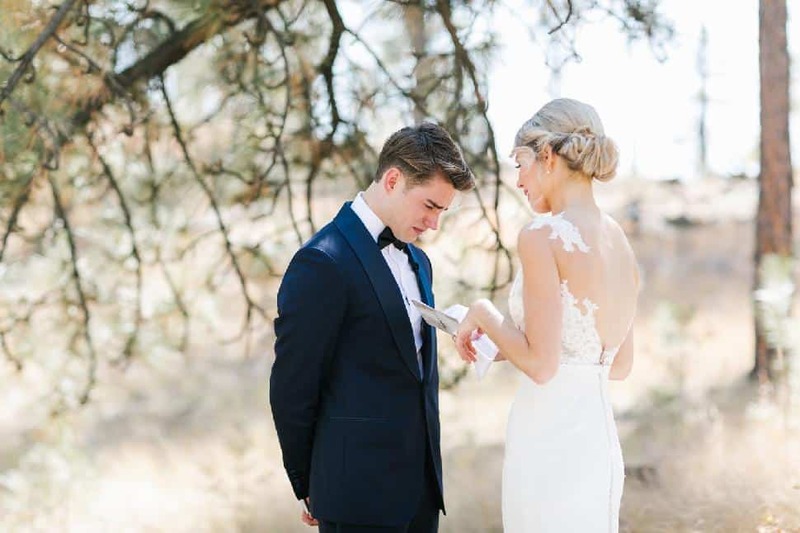 Crew suits in matching hues that complemented the colour palette. 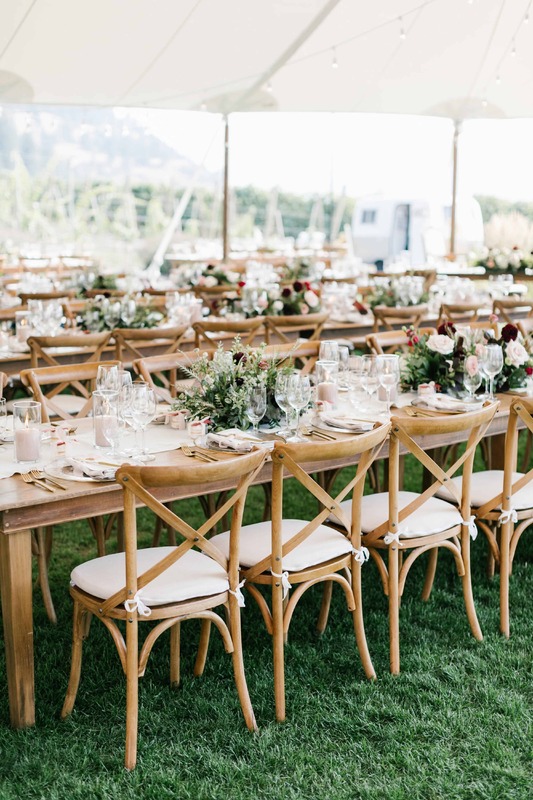 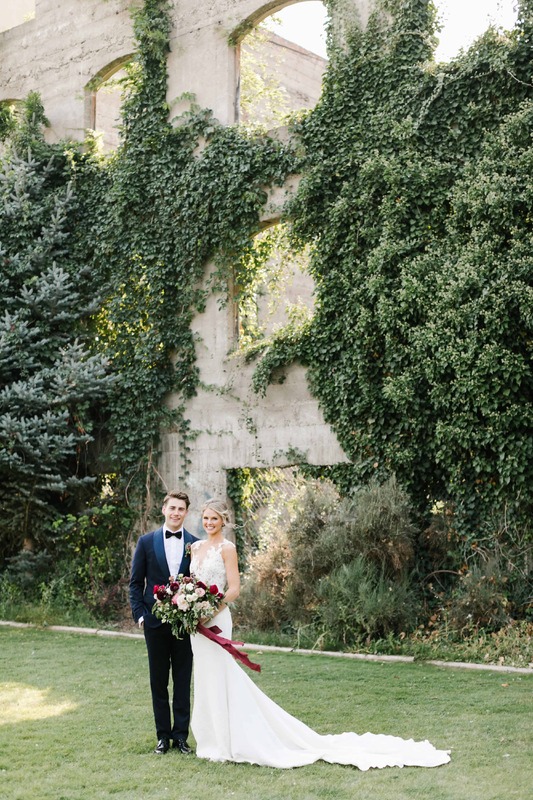 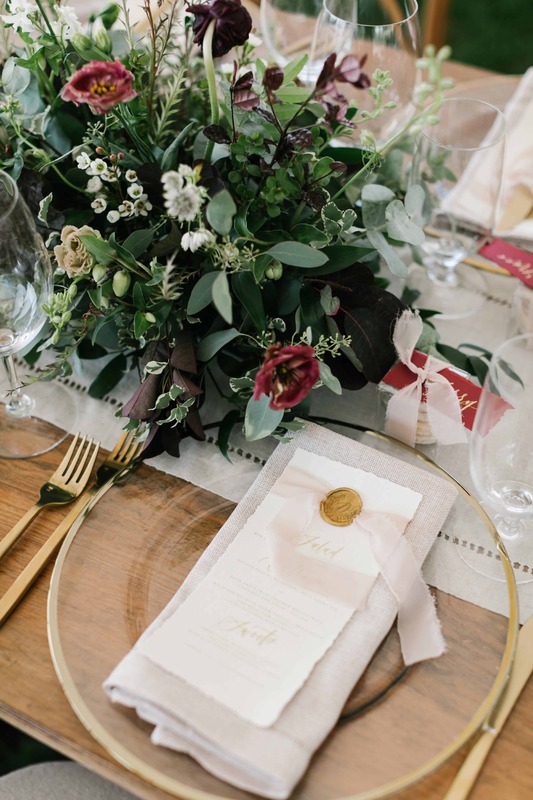 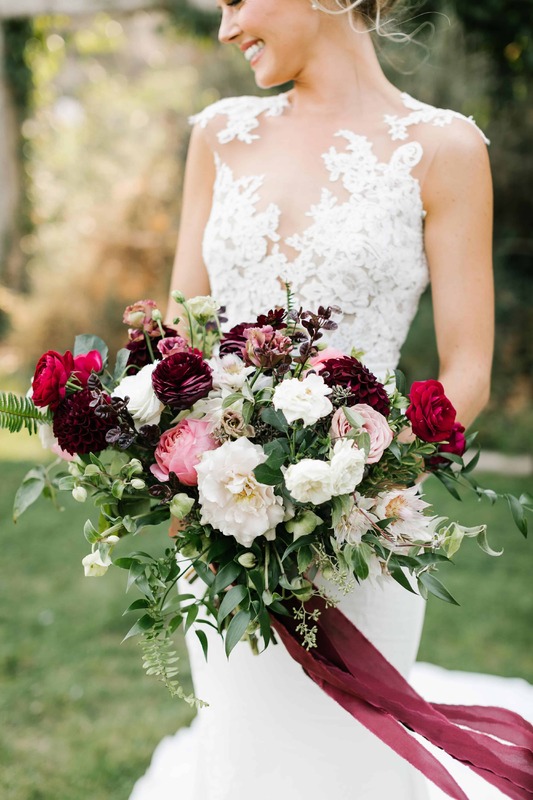 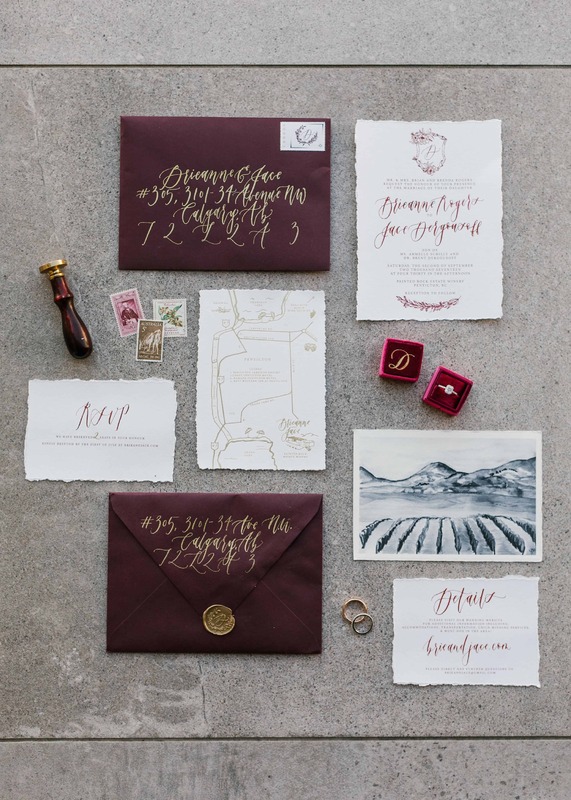 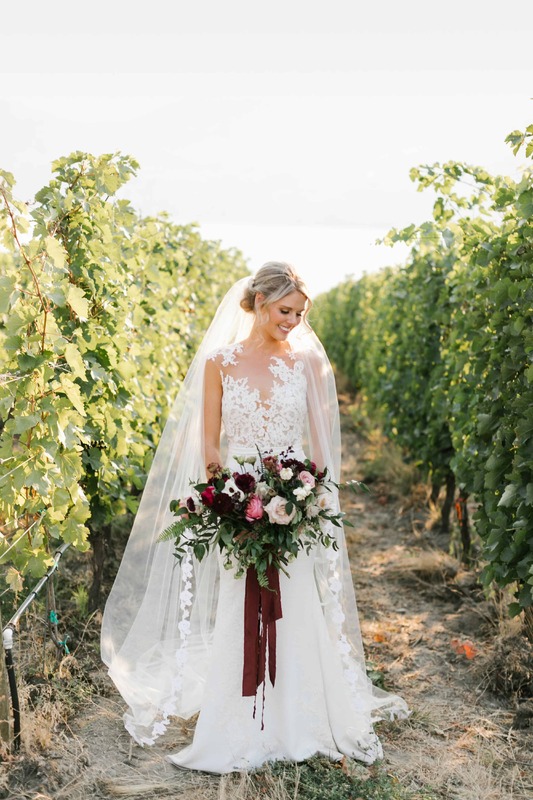 The bride opted for a colour palette that would create a romantic vineyard feel, with lots of green hues, florals, off-whites and a deep shade of Bordeaux red. 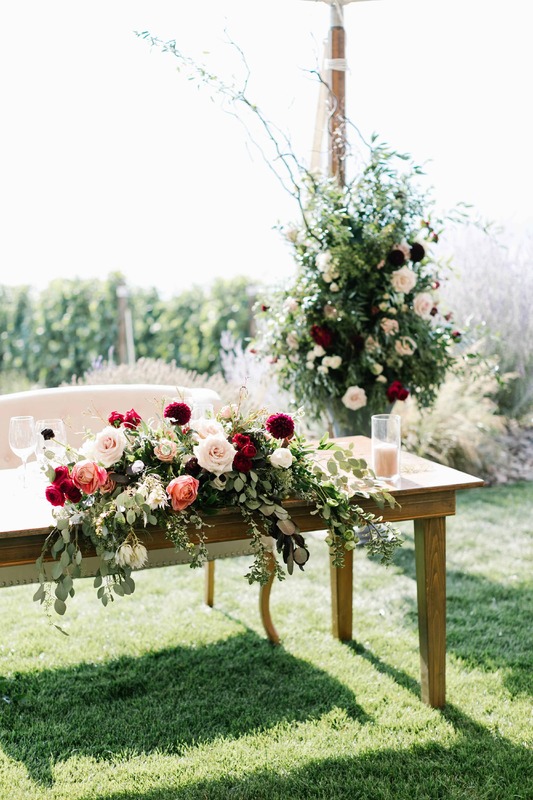 Low, garden-inspired centrepieces created the perfect outdoor oasis. 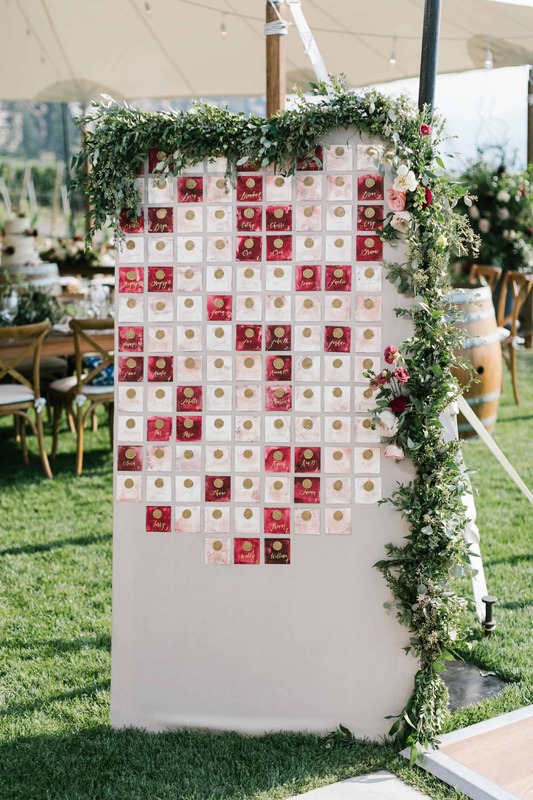 The place settings featured personalized name tags written in calligraphy and tied with ribbon to wedding favours—the couple’s favourite macarons. 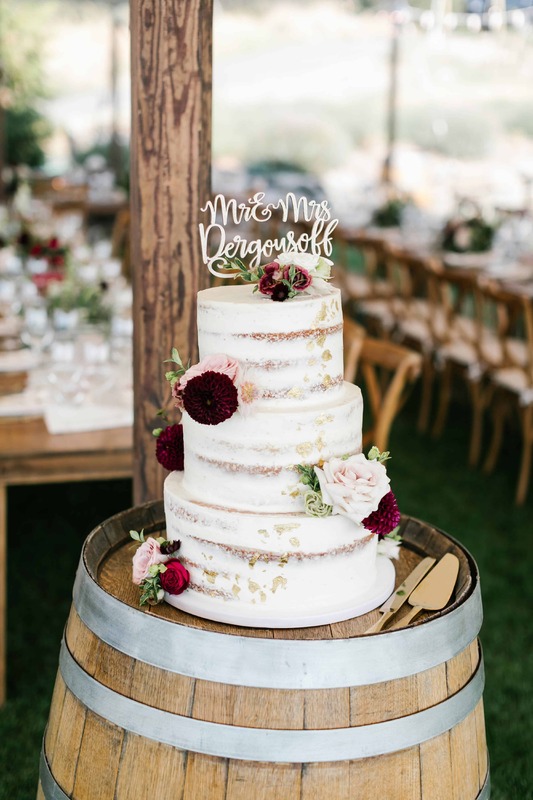 Dinner was prepared by Brodo Catering, and the decadent cake was created by Sweet On You Cakes. 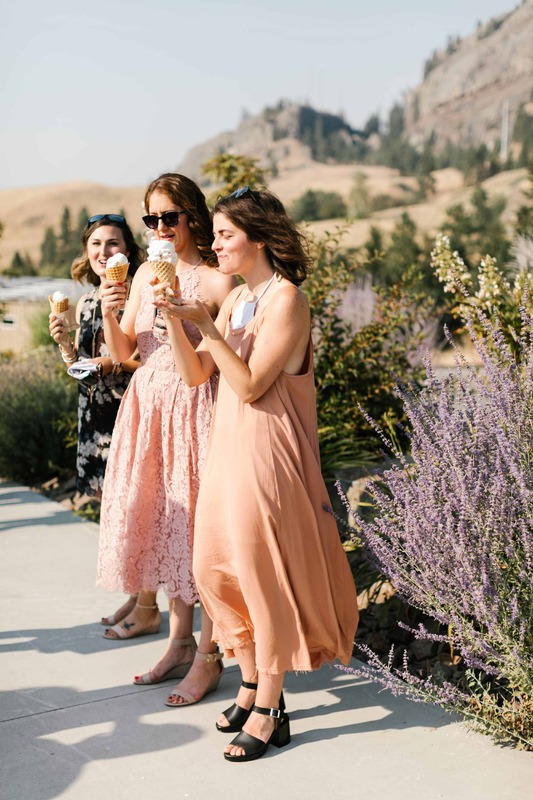 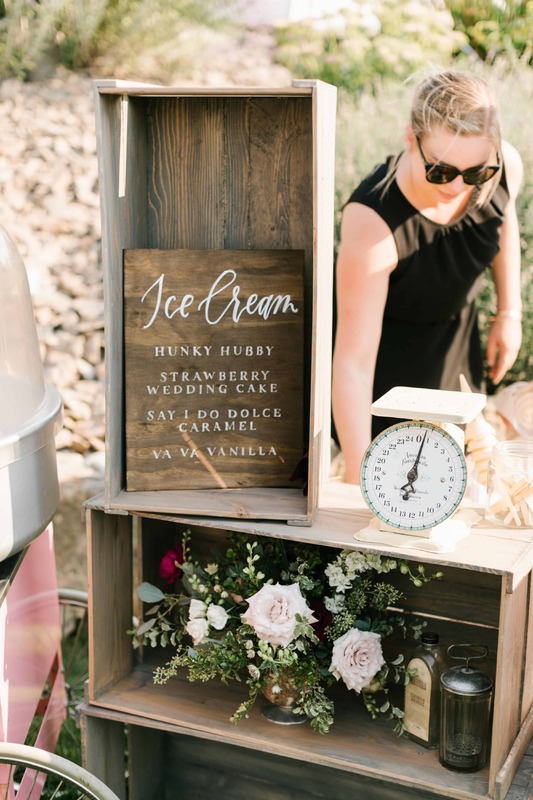 To reflect their fun side, other personalized elements included an ice cream station by Tickleberry's Ice Cream, a sweet treat for the guests symbolizing a weekly tradition that the couple shared, and a special love song written and performed by Sally Wallick for Jace and Brieanne. 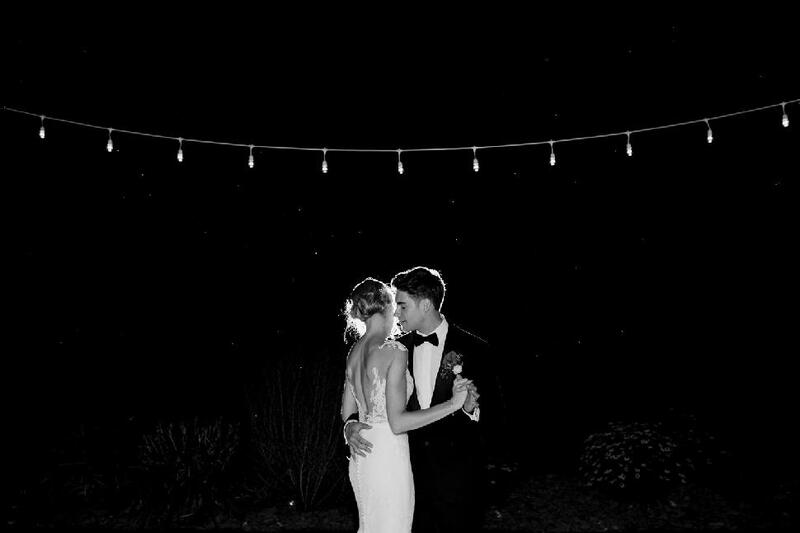 Videographer Hello Tomorrow Films captured the magic on film, and DJ Spinalshift had the guests dancing under the stars.